How is Islamic State threatening the security of the oil and gas industry? The 4th Middle East Oil & Gas Security Summit organised by IRN on 18th-19th May in Dubai, will address the growing security threat posed by IS in depth. It has been reported that a key source of funding for Islamic State is illicit oil trafficking, which has led to huge financial losses for the affected oil companies. IS also pose major security concerns for these companies, especially where the workforce is international and the operations are in proximity to IS controlled regions. Delegates will hear from ABB’s Regional Security Manager on how their operations in Iraq managed to stay unaffected through the implementation of effective security strategies. The general panic than can occur during periods of heightened terrorist activities and how this can affect a company’s employees will also be addressed at the Summit. On the first day of the conference there will be a panel discussion where security experts will discuss how to avoid being dragged into the general panic as a result of recent IS activities. This session will be moderated by GE’s Regional Security and Crisis Management Director for Turkey and the Levant. This year’s Summit will focus on the most pressing concerns for the region, including the threat of kidnap for ransom, pipeline attacks, geopolitical instability, evacuation planning, duty of care in high risk regions, cyber security, business continuity, and crisis management planning. Taking place under the Chatham House Rule and with no media present, this Summit will be a discreet meeting focused on the regional security considerations for the oil and gas industry. 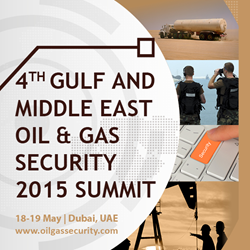 More information can be found on the website http://www.oilgassecurity.com.